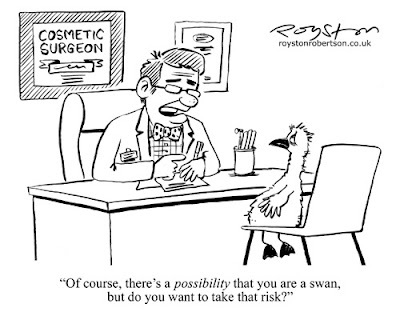 "Of course, there's a possibility that you are a swan, but do you want to take that risk?" This cartoon is in the April issue of Reader's Digest. I referred to one of my kids' nursery rhyme books to get that sad-looking "ugly duckling" right. Talking of feedback, thanks to everyone who who emailed asking for a copy of the cartoonists' propaganda poster I posted here a couple of weeks ago, and everyone else who made nice comments about it, online and off. It was really only intended as a joke, a riff on the original Second World War poster, I never intended it to be a "motivational" poster, as such. But it seems to have touched a nerve, and some people even found it inspiring, it seems. Particular thanks to the following for linking to it: Jason Chatfield, Tim Harries, Mike Lynch, Chichi Parish, Cathy Simpson, The Surreal McCoy, and my PCO colleague Matt Buck who put it on The Bloghorn. 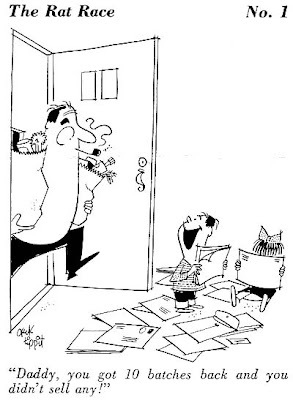 As a freelance cartoonist and father-of-two, I can really relate to the scenario in this Jack Tippit cartoon. I hope this guy has bought stuff that's going to last! This is from the always excellent Mike Lynch Cartoons blog. 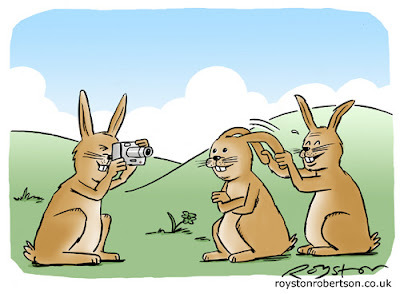 Tomorrow is the first day of Spring, so here's a colourful cartoon from the archives featuring some cute bunnies! 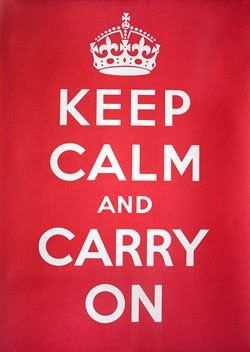 The Keep Calm and Carry On World War Two propaganda poster is proving to be a big hit, as a result of the economic downturn, according to the Guardian. So here's my version for cartoonists (above, click to enlarge). 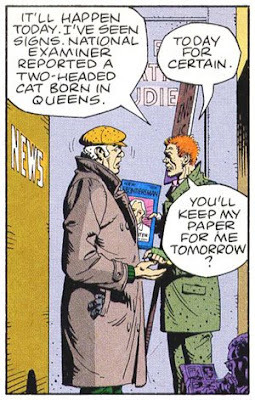 But, as a cartoonist friend said to me recently, "Your whole life's a credit crunch when you're a cartoonist!" 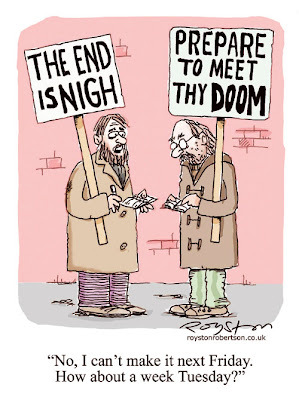 Like many self-employed people, cartoonists do find it tough-going sometimes, recession or no recession. 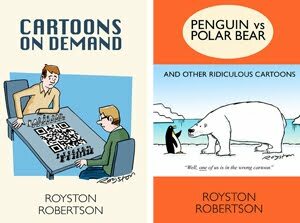 You may not be selling enough gags, maybe not getting enough commissioned work ... it can get tough. 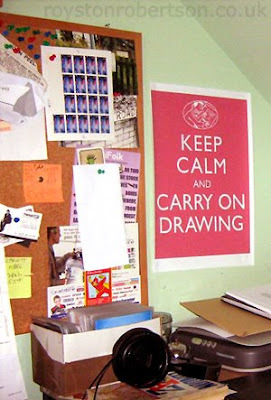 All you can do is keep calm and carry on, as the poster says, and hope that something turns up. It usually does. So in that spirit, I created my own version of that poster for all you cartoonists out there. If you would like a non-watermarked version of my poster for your own use, contact me and let me know. 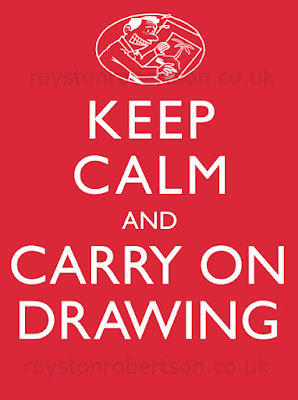 You can put it on your blog or print it off and stick it on your wall ... stiff upper lip chaps and chapesses, noses to the drawing boards, we'll get through it! As today is Red Nose Day, my son was required to dress up for school. 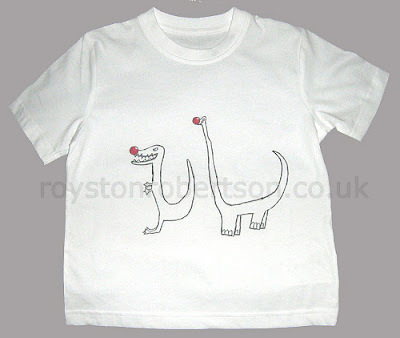 Like most six-year-olds he's really into drawing dinosaurs, so I traced two of his creations on to a white T-shirt and added some red noses. It was my wife's idea, so all in all it was a real family effort! 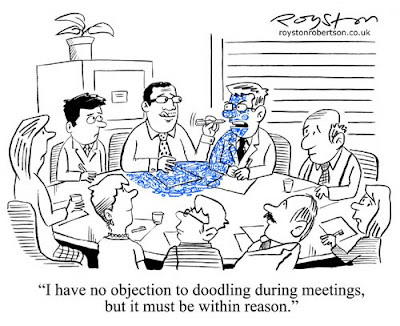 "I've no objection to doodling during meetings, but it must be within reason." You may have seen a story in the news recently reporting that boffins have declared that doodling is now officially A Good Thing. A business publication I draw for regularly wanted a cartoon on this subject, with reference to board meetings (above). As you might expect, I am a compulsive doodler. I often doodle a lot when I'm thinking up cartoon ideas. Sometimes they can help develop the joke, if you keep within the themes you're thinking about, but often I just end up drawing funny looking blokes. And clowns, lots of clowns. 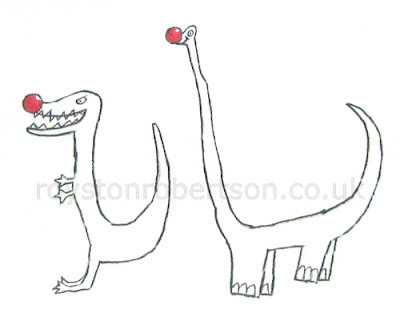 Here are some of my doodles (click to enlarge, should you wish to). 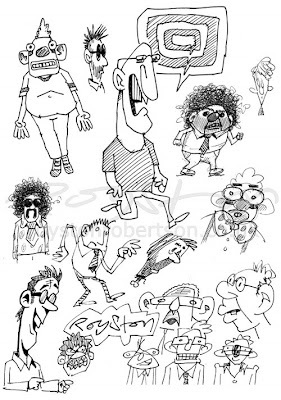 My cartooning pal Tim Harries is the master of the odd-looking bloke doodle. So much so that he's turned it into a regular feature on his blog, called Strange Looking Bloke Wednesday.